Smartphones can be either compact or powerful: it seems like manufacturers use one of these two attributes to describe smartphones, but it’s hard to find a device that is both. Sony has achieved this with the Xperia Compact series. But can you actually ‘survive’ everyday use with a 4.6-inch smartphone? I was able to test the powerful yet compact Xperia XZ1 Compact for 100 days and I was more than impressed. The trend in smartphones is towards ever larger screens and larger smartphones. After all, in the age of modern communication we need a lot of display space to consume as much content as possible. But not everyone wants a 5.5-inch smartphone that keeps popping out of the back pocket of their jeans. I often wished I had a small smartphone. But at the same time, however, I want device that is technically well-equipped and will last 24 months and quickly receive software updates. Now some of you may be thinking: “Well, just get a cheap 5-inch smartphone in the supermarket”. Although those devices may certainly meet my requirements in terms of size and weight, they won’t be great in the near future. They won’t receive fast security updates or an update to Android P or perhaps Android Q in 2019. This means that I can completely disregard the likes of a Huawei Nova, Samsung Galaxy J3 or similar devices from Wiko, ZTE and co.
With the Xperia XZ1 Compact, which is admittedly not exactly cheap, top hardware comes in a compact format with software that is still up to date, even after more than 100 days. This can also be seen in its version of Android and its security patches. Not many devices have Android 8.0 and the latest security patch from February 1, 2018. Only Google can offer more up-to-date software on its Pixel Phones and HMD Global Phones. The Xperia XZ1 Compact is full of power. After all, Sony is the only manufacturer that forces the Snapdragon 835 into such a compact smartphone. The top SoC from 2017 still has 4 GByte of LPDDR4X and 32 GByte of fast UFS memory available. Thanks to a microSD card that can be opened without a SIM card slot picker, it is also possible to insert and replace a microSD card while using the device. The Xperia XZ1 Compact's features are just as good as new. USB type C, 3.5 mm jack audio connection, stereo speakers, Bluetooth 5.0 including aptX HD, LDAC, HiRes Audio and LTE Cat 15 are all quite respectable. The Xperia XZ1 Compact also uses the XZ Premium’s Motion Eye camera. It still has the ability to record in super slow motion at 960 fps, and can also scan three-dimensional objects with the help of the 3D Creator, but it also has weaknesses in low lighting conditions. But let’s be honest: the majority of people using smartphones don’t notice image noise, especially not against the background in pictures that are only shown via Facebook, Instagram and Twitter and are distorted with filters. Considering that the successor of the XZ1 Compact is already in the starting blocks and the smartphone has been on the market for almost six months, the price is the best argument for choosing the XZ1 Compact in the coming days and weeks. Initially the Xperia XZ1 Compact cost $599, but the price has since gone down $449. It’s unclear whether this price will get any lower, since the XZ2 Compact, which is now 5 inches, isn’t yet officially available. But as soon as it becomes available at the beginning of April, another price slump could occur. The Sony Xperia XZ1 Compact is in many ways a smartphone to fall in love with and maybe even to collect. 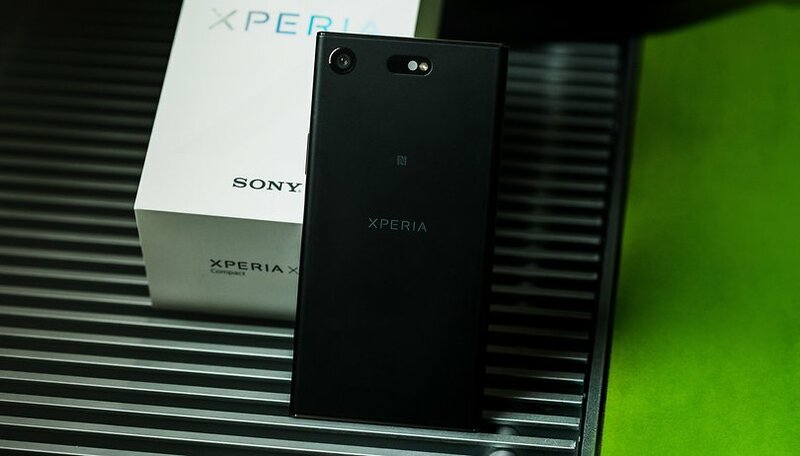 Thanks to its top hardware and up-to-date software, the Sony Xperia XZ1 Compact will surely provide good service for the next 18 to 24 months. The Xperia XZ1 Compact could have even more significant for Sony fans. This smartphone will probably be the last Xperia smartphone to be sold in the OmniBalance design. And with its 4.6-inch display, it is very compact. The successor, the XZ2 Compact, with its 5-inch and 18:9 display, is built in an Ambient Flow Design and is much more focused on trend in the smartphone market, and is catering more to the tastes of the masses. This alone makes the XZ1 Compact a smartphone with character and soul. What do you think? Does a smaller smartphone have more to love about it? Wow..! This is bets reviews, thanks for sharing valuable information about Sony Xperia.